A fifth grader helps her writer father rediscover the pure, delicious joy that is root beer. Root beer is the happiest of beverages. I don’t mean to downplay the cheerfulness of sweet tea or hot cocoa or Coca-Cola or the many varieties of soft drinks with merry names like Mello Yello and Mountain Dew and, of course, Cheerwine. Sprite dances. 7-Up is never down. You can’t spell Pepsi without “Pep.” (Note to self: Copyright that). Root beer, though, is just happier, right? Think of the last time you ordered a root beer. You smiled, right? You’re smiling right now. You have to smile: It’s root beer. Root beer is a summer picnic, bees buzzing around, a game of catch, the sun hiding behind a cloud. Root beer is a Fourth of July evening barbecue, the smell of ribs, fireworks going off, sprinklers whooshing in the neighborhood. Root beer is a birthday, party hats, those party horns that unleash colorful, rolled-up paper, birthday cake, and presents at the end of the table. More than anything, root beer is a drink of childhood. After all, what other beverage practically demands that you add a scoop of ice cream? Root beer isn’t just a childhood drink. It is childhood. “Dad!” my daughter Katie is asking me right now (this is true no matter when you happen to be reading these words). “Can I please have a root beer?” She is 11. She would drink root beer nonstop from an endless well if allowed because, as mentioned, she’s 11. Katie is helping me write this story because she believes that her assistance will get her more root beer. She’s not wrong. But she has to work for it. I send her first to research the history of root beer. She finds out that its origins go back at least 500 years to a concoction called “small beer.” Shakespeare wrote about small beer and, according to various sources, enjoyed partaking. Small beer, unlike big beer, did not involve hops and wheat and all that. Small beers were, instead, home-brewed concoctions of berries and spices and roots and, sure, a bit of alcohol. Small beer was not root beer, though. For that, we need to meet a 19th-century pharmacist named Charles Hires. He began working in a drugstore when he was 12, and, as the great American story goes, he scrimped and saved until he could afford to start his own business. Hires was on his honeymoon when he drank an unusual herbal tea that intrigued him. He went back to his drugstore, replicated the formula (using root from a sassafras tree), and called it “Hires Root Tea.” It didn’t sell much, even though Hires announced that it would basically cure all illnesses. A quick aside: 19th-century pharmacists loved inventing new formulas and calling them cure-alls. It probably isn’t a whole lot different from today, when every other commercial on television promises to cure some illness or another, as long as you’re willing to risk side effects such as bloating, constipation, or death. Hires Root Tea had its own side effects: In 1960, the U.S. Food and Drug Administration banned sassafras oil, calling it a carcinogen. All root beer today can only approximate the taste of sassafras root. Back to Hires: His tea concoction flopped, so he decided to package the ingredients in a make-at-home kit with the earthier name of “Hires Root Beer.” He introduced it at the Centennial International Exhibition in Philadelphia in 1876. For the rest of his life, Hires — who was very much a part of the temperance movement — tried to get people to drink root beer instead of real beer. 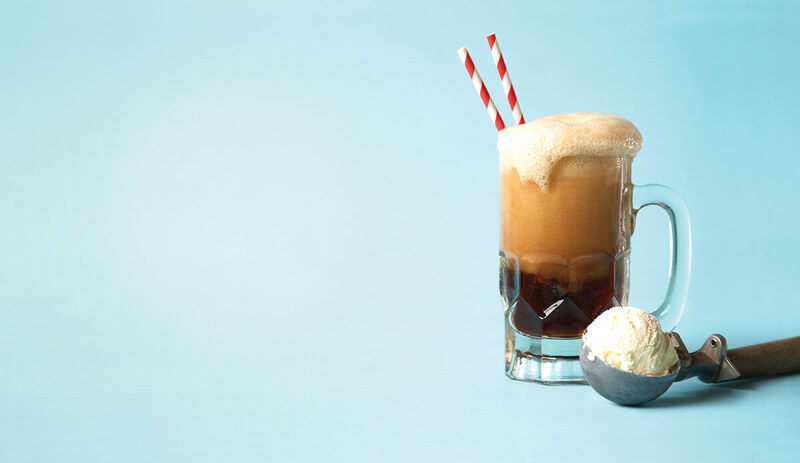 Seventeen years after Hires introduced root beer to the world, a man named Frank J. Wisner of delightfully named Cripple Creek, Colorado, added ice cream to root beer. And as a result, America became the greatest country in the known universe. “Don’t you remember, we had root beer while talking to Scott and Suzanne?” I ask. 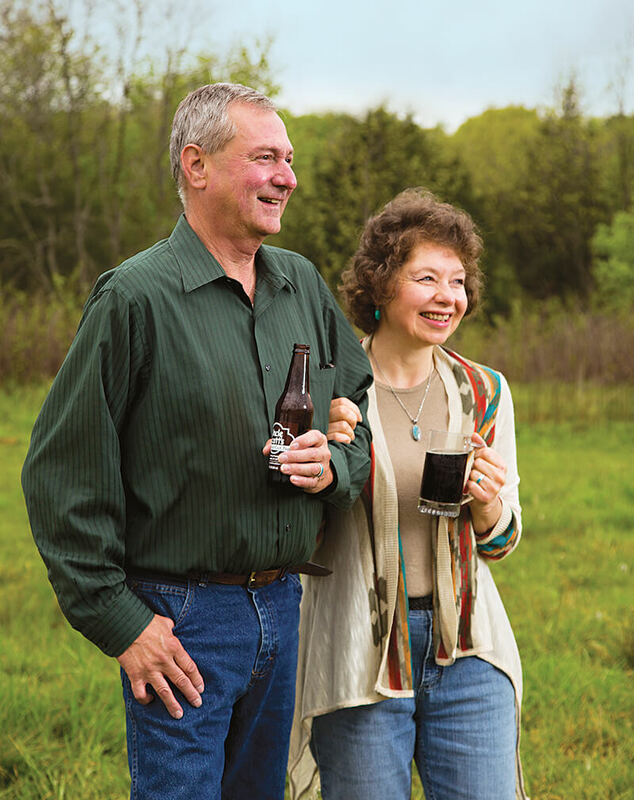 They met when Suzanne was hosting a radio show in New Mexico — Scott was a guest, talking about the Aztec UFO incident — and they fell in love and moved to a farm in Mooresville. They’re the sort of people who love to try new things. They planted an organic vineyard, which they lost to bad weather. (“Buckets of tears over here, let me tell you,” Suzanne says.) They grew berries and other fruits. They talked about many different kinds of businesses. And then Scott brought up the idea of creating an organic root beer. They tried countless recipes and finally narrowed them down to two. Then they asked 100 friends to try the two different formulas. Ninety-eight of them liked what would become Uncle Scott’s. “Do you like it?” Suzanne asks Katie. “I love it,” Katie says. Suzanne and Scott like to point out that with Uncle Scott’s, you can pronounce every ingredient. You have carbonated water, pure cane sugar, vanilla, cinnamon oil, natural caramel, wood extract, licorice root oil, anise oil, and natural gum arabic. “How did you get the name ‘Uncle Scott’s?’” Katie asks. The Ramseys understand that root beer means fun. They hear from all sorts of people who talk about how they used Uncle Scott’s to make a barbecue sauce for ribs (fun!) and how Uncle Scott’s works beautifully with all flavors of ice cream and not just vanilla (fun!) and how Uncle Scott’s was the secret ingredient in various chef competitions (fun!). “I just love it,” Katie says. “Don’t you have school today?” Suzanne asks Katie. OK, so, yeah, I did do that. I feel you judging me. Well, I just don’t think you can write a fair story about root beer unless you have an 11-year-old to help. I fear I’ve lost some of my root beer spirit. It would never occur to me, as a man approaching 50, to order root beer unless there were some nostalgic reason to do so. Root beer is a part of my distant past, mixed in somewhere with Rock ’em Sock ’em Robots and all-day Monopoly games and kickball and long summer afternoons with nothing to do. But that’s exactly the portion of life that Katie is living right now. She will watch root beer pour into the glass, and watch the giant head of foam rise, and her eyes will light up. She’ll have that first taste of root beer, and her face will glow as if she just tasted a piece of the moon. “How do you want to write this story?” I ask her. “Then you should talk about how delicious root beer is,” she says. “Well, how delicious is it?” I ask. “How delicious is it?” I ask Katie again.